GRT token is a shared gaming currency token connecting many games powered by GameArter with each other. 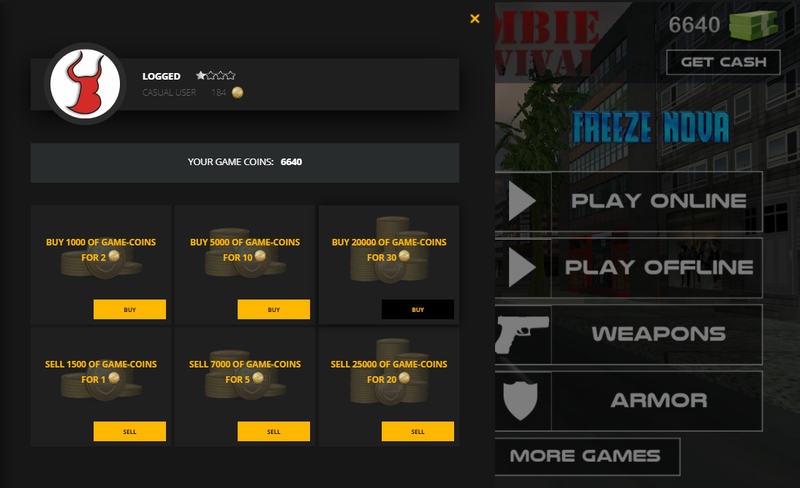 Via this token players can transfer their game currency into other games that support this feature. In short, they can move their gaming wealth between games. Who benefits from using GRT coin? Videogame currencies are many and getting it is often quite boring grind, if we don't count "idle" games, where grind is the only thing to do really. That is why we, in collaboration with GameArter, present the GRT token - shared currency among many games. These games are in their own GRT token category where you can find and play them, and all of them can use GRT token for buying ingame currency or to sell the ingame currency for GRT. So except this, what exactly are the pros of using shared currency? New way of monetization for game developers. Market of browser games is specific. There are either MMO games designed for freeminum model with focus to reach the best retention from every user via IAP (in-app purchases) and then classic, more simple games you can know from PacoGames. These games are developed by developers on basis of users' preferencies and monetized with ads. These developers would like to get additional ways to monetize their games (to earn more money for development of better games) and thus asked GameArter to create and bring a solution for them. Easy to implement and beneficial for them as well as players. With consideration of the market, GameArter decided to create a shared currency applicable in many games and suitable also for other usecases as e.g. rewarding players for playing browser games. Thanks to its design and purpose, developers will be able to keep prices of game assets very low and thus allow everyone to buy any assets sooner then they would get them by playing. Of course, all games will be still fully playable without paying for it. IAP will be just a boost players can use. New opportunities for players. Game design is set with certain purpose which balance general expectations of average player with consideration of developers' needs. Typically to keep players for longer time in games to display them more ads and earn more money. Such design does not need to be optimal for all players, some may prefer to get and try game assets like cars, weapons or character customizations sooner. These users now gets the option - buy it in any time they want. IAP process is also a way to support favorite developer. Moving wealth in a form of game currency between games is possible via currency exchange which allows switching local game currencies to GRT and each other. In cases, when users do not have enough GRT for getting sufficient number of game coins for items they want, they can purchase GRT from FIAT money (money emmited by countries) directly in the exchange. What are the advantages of using GRT? Great plus of the GRT token is that you are able to buy it with your credit card, paypal, paysafe card, SMS and all other ways of online payments including crypto-currencies. Quite similarly to other premium currencies you see in other games or services. These Payments are now available in most countries worldwide. This can dramatically increase speed of progress in games that support it and many players will use this possibility. Also it can speed up the process of game development by increasing earnings for developers. However, there is a great difference between GRT token and premium currencies, since GRT simply is NOT a premium currency. More than anything it is a tool to get ingame money from one game to another simply by converting the game currency into GRT token and the other way around in another. Also in some cases, it is the only currency these games use and it is stacked on your account not in game. This means that you can use your currency in any game you like and just the same way you can earn the currency by playing any of these games. How to get GRT coins? The means of getting coins vary from game to game and the convertion rate is based on difficulity of getting the game currency. You can be rewarded for example for eliminating your opponent, for getting achievement, for completing quests or selling things, just like in other games, you know the drill. There is another plus connected to this matter. Imagine this - you want to play some car game and you want to get a better car, but you struggle to achieve enough coins because you are simply better at shooting games. So you can go into a shooting game, earn money there, convert them into GRT coin and buy that new car you wanted. And just like that, gamers life is easier! Also, in near future you will be able to get GRT coin for example for allowing notifications on our site, or for daily logins and many more actions. Buying stuff in games is not the only thing we plan to do with GRT. In future you will be able to use it to disable ads for example, create or participate in tournaments with GRT prizepool, eliminate spam or sell your game progress to another player. Also, as it should be obvious by this point, to enjoy all the pros of using GRT coint you don't have to buy it not a single time, you can easily earn the coin by playing. The possibility of buying the coin for real life money is just another advantage. We offer full technical support for all users of our site, meaning for GRT users aswell. Therefore you can report any problems with GRT token and bug encounters straight to us, and we will resolve your problem as fast as possible. To do so, you can use our contact form any time. Now we start operating in the testing phase and are looking forward to release the full potential of GRT coin into PacoGames.com! If you want to read more about this revolutionary currency, see article "Gaming economy - Why we need a currency" on GameArter.com. Note: GRT token is only a virtual item used to transfer currencies between games or to buy ingame items. The GRT token service is provided by Gamearter.com. IAP process is processed by Xsolla. Xsolla is a cross-platform billing and monetization solution for video game developer and publishers.